With SoftComply Risk Manager Plus you can automatically generate compliant Risk Management Plans and Risk Reports. In addition to those, you may also want to export all data from the risk management table of the SoftComply Risk Manager Plus. Below is the step-by-step guidance on how to export risks and all their related data from the SoftComply Risk Manager Plus together with all the information stored in the Jira issues into an Excel file. For these purposes we have written a simple macro to Excel that you can further tailor to fit your specific needs. 1. In your Jira instance enter the Risk Project you want to export. 2. Open the “Risk Management Plus” Tab and select “Export to Excel”. 3. Open our macro-enabled Excel file (unzip it first), Sheet 0. If asked, select to enable the Macros. 5. Back to Jira, select the “issues” view of your Jira instance and click on “Search for Issues”. 6. Make sure all filters are either empty or set to All so you can export the whole content. 7. Select the export button on the top right corner and export all of them using the “CSV (all fields)” option. 8. Open or import the CSV file in Excel. 9. Copy all the data from the export file to our macro-enabled Excel file, Sheet 1. 10. In Excel, select the “Developer”* tab, then “Macros”, then run the “Main” macro. 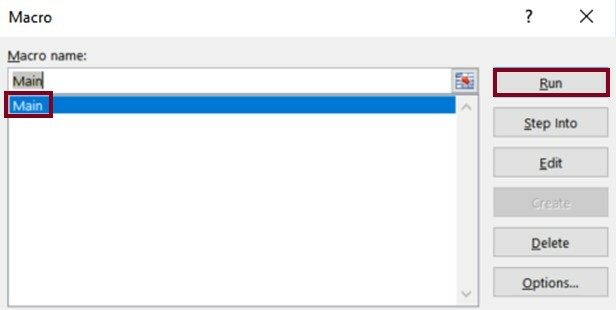 Note: appearance and options may vary depending on the version of Excel you use and your settings. 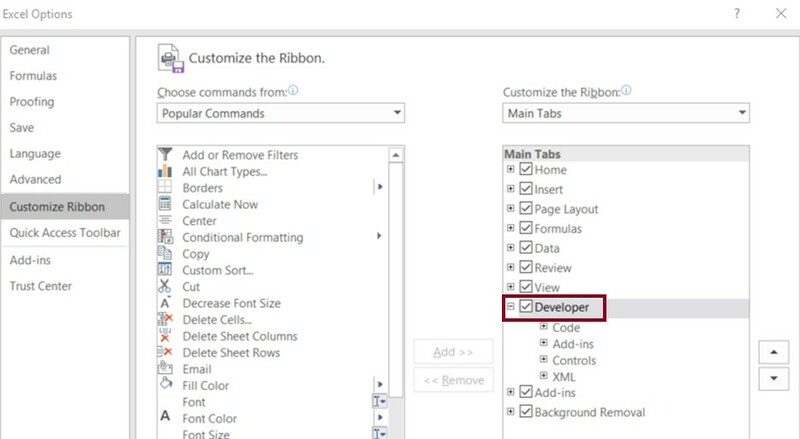 (*): If the “Developer” Tab is not available, in your Excel select “File” -> “Options” -> ”Customize Ribbon”. In the tabs list on the right make sure the “Developer” option is ticked. 11. As a result of running the macro you will now have, on Sheet 0, hyperlinks in both Mitigation Links and Verification Links columns.